Valeo On Tour, a showroom and training space on wheels! Valeo has always sought to provide the aftermarket with a wide range of spare parts and quality workshop tools. Valeo is equally committed to providing our customers with quality technical information and training in a way that suits them, regardless of where or when they need the information. Valeo On Tour, a mobile showroom and training centre, is part of this commitment. The showroom allows our customers to see Valeo’s complete range of products, while the training program enables participants to learn all about the latest automotive technologies and procedures. Fully adaptable, Valeo On Tour features a multitude of training and presentation tools such as demo cars, video walls, garage equipment and product mock-ups. It has an expandable surface of 45m² to 100m² on the ground floor, and a 32m² conference room on the first floor. As seen at Automechanika Frankfurt 2018! 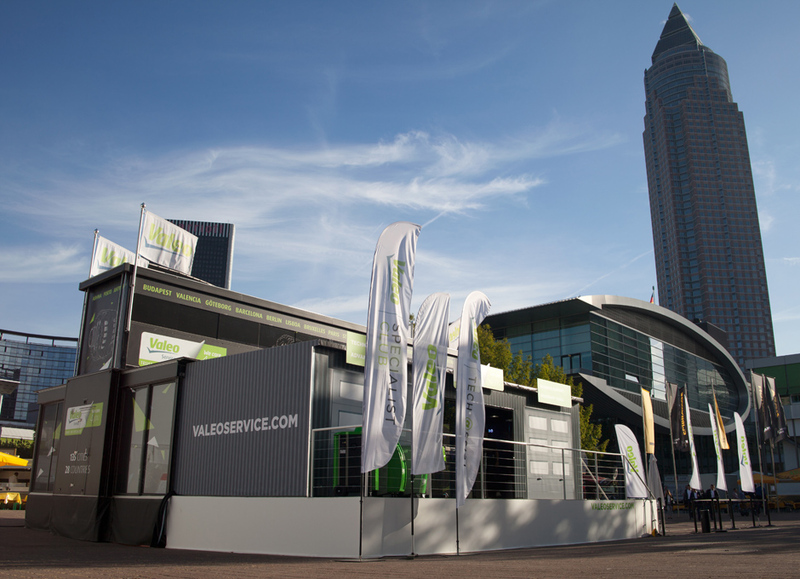 You can find Valeo On Tour at exhibitions, client days, Tech’days and trade shows. It recently appeared at the latest Automechanika in Frankfurt which was just another stop in a long line of recent exhibitions and main trade shows. On Tour has recently travelled through 20 different countries, visiting more than 130 events including national and regional exhibitions, key customer events and Valeo Tech’Days. Keep an eye out, Valeo On Tour is no doubt coming to a town near you!